Just wanted to introduce myself after spending the last two weeks browsing the forum gaining as much info as I can before embarking on a full overhaul of my 931. Its a 1980 Series 1. Last owner spent some time doing a full top end rebuild, rebuilt and renewed fuel system, recent turbo, reconditioned steering and wishbones plus many others areas. Even in this cold spell we are having it fired up on first turn of the engine today having stood for a week. Engine runs real smooth but seems to run out of steam over 3000 rpm. I am not sure if its the car or me but it doesn't feel as quick as I expected. Looking to get it to JMG on the South Coast UK over the coming weeks for a full check up. In the meantime I have ordered a TIM boost gauge so I can check on whats pressure is being built up or not. Plans are to upgrade the suspension and brakes first with some engine mods along the way for some fast road/track use. Not sure at the moment whether to leave the cosmetics stock or to CGT it. Currently it is all white but I have found some chipped paint on the lower half of the body which shows some evidence of Guards Red. So I believe its orginally a two colour car like my avatar. Wow, what a pretty car, I like the white, I'd keep it that way. Holy ! That's a nice looking example from the pix! If it were original paint, I'd say no way to the CGT kit, but if it's a respray, then maybe. However, I absolutely LOVE that white on red scheme, it's very unusual, don't see too many like that anymore. That engine bay looks pretty sparkling. I suspect you have a boost leak somewhere if you're not getting acceleration after 3K. Your rubber connector at the charge tube / throttle body interface appears to be in good condition, but it's worth double checking to make sure it's sealed correctly, and that seals are intact. The charge tube bracket is prone to shearing off the bolts, especially on the S1 version. As you can see from the PET snippet, the lower charge tube is just an interference fit to the turbo outlet, so if the bracket is missing, the charge tube will lift off as boost builds, which will cause the lack of power you describe. Of course, it could be other things, but this is the first thing I would check. Congrats on what appears to be an awesome acquisition! Welcome to the board! 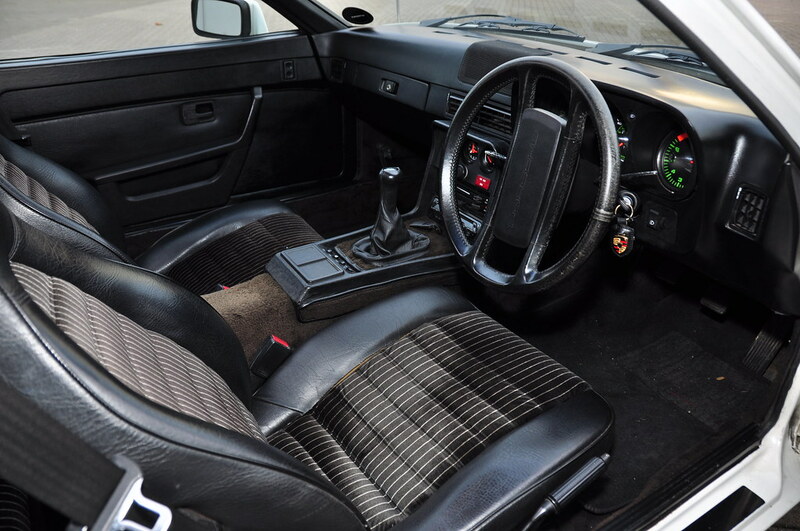 Oh yeah, what about the interior? Got any pix? Curious as to what upholstery package is in that beauty. Being white it does hide some of the paint issues. The roof has lost its clearcoat from a previous respray. The history shows a colour change in 1988. But I have checked over the inner shell and its all factory white. however the front and rear bumpers, lower valance are showing signs of being Red in the past. 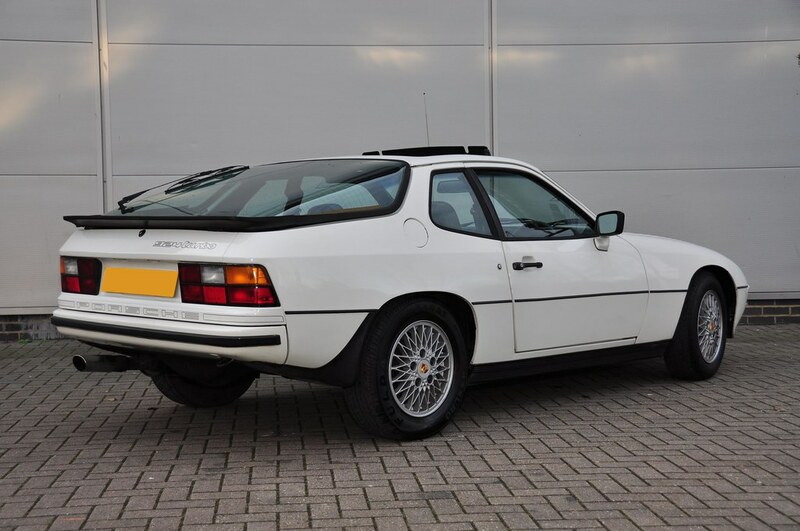 I partly want to return it to Alpine White over Guards Red and keep it stock outside and run around 220 - 230bhp and scare a few modern cars. So as said I'm going to upgrade the chassis, brakes and engine first and then decide on the body. Checked the charge tube bracket this afternoon. Its all there and intact. 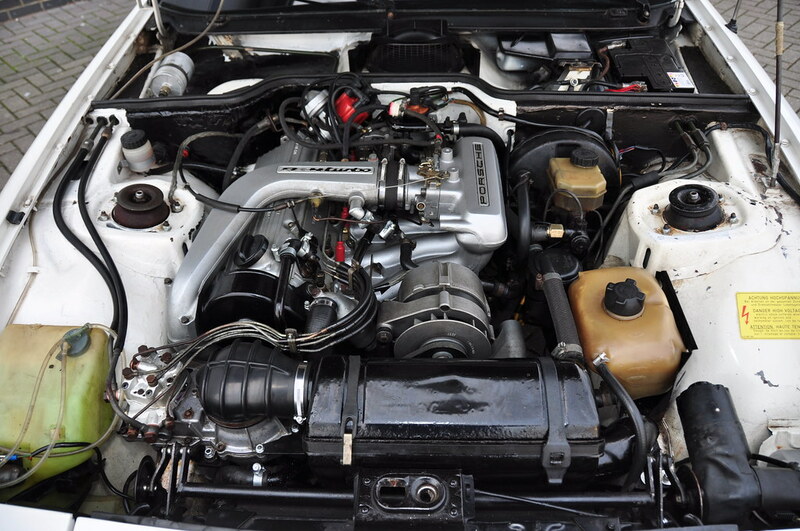 The head, charge tube and turbo received new gaskets in the recent rebuild. There was some light oil deposits coming from the charge tube to plenum rubber joiner so I tightened the clips up. Loss of pressure was my thought which is why a boost gauge is in the post. Where would you suggest is the best place to T in to the system. The previous owner who was well informed reckoned the G31 box had a ZF LSD. But having checked the serial number this afternoon it was stamped with 310102808/ but no 12 after the /. How else could this box be checked for an LSD. Jacking and spinning the wheels for same direction rotation? Any others? Is it possible to swap the speedo and rev counter over. I quite like the idea of the rev counter being central as in 911's. Oh, man, that's a beautiful example. Even with the respray and the clearcoat issues (FWIW, OEM non-metallics didn't get clearcoat, as far as I know...). 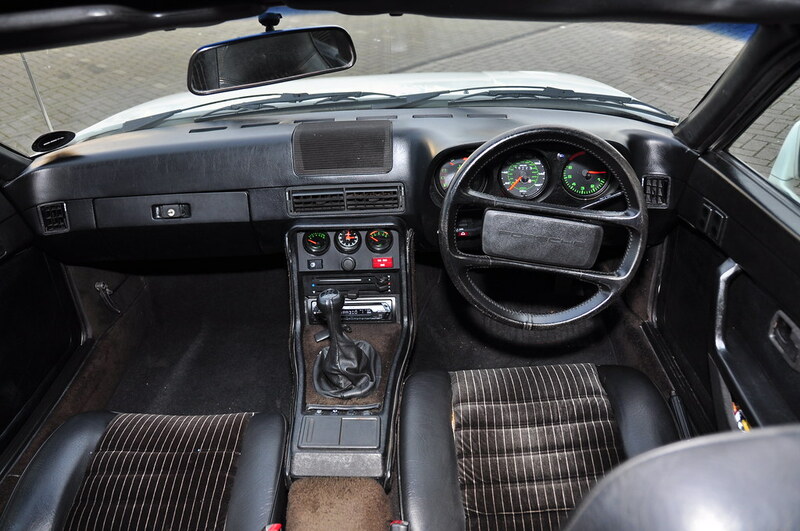 The dash looks amazing, so unusual to see them in that condition!!! To check for LSD, yes, jack up the rear and see if the wheels spin the same direction. If so, you're lucky. If not, just a plain ol' open diff. Yes, it's quite easy to swap the speedo and tacho around. The hardest part of the whole proposition is getting the speedo cable unscrewed from the speedo. Usually, they have a paint mark blob that makes it tougher, and getting your hands up in there is a challenge. The gauges just pop out from behind. It helps to remove the steering wheel, but it's not necessary. Leave the gauge bezel in place and held in with the screws. Push the driver seat all the way back. Lie on back with your head by the pedals, and reach up in and around the wiring and ducts. Press out the tacho first, it's easy. The gauge opening will then give you another angle to work on the speedo. They're held in with a rubber gasket around the gauge and can be a bit stubborn at first, so it helps to sort of jiggle up and down or side to side as you apply pressure toward the driver position. On a Series 1, the most common place to Tee into for a boost signal line is to unscrew the overboost switch on the front of the charge tube and put a brass Tee there. WOW . Realy nice example , hmm can i ask u a qeustion? Did u store it Somewhere for 30 years? The pics do help with hiding many of the blemishes. 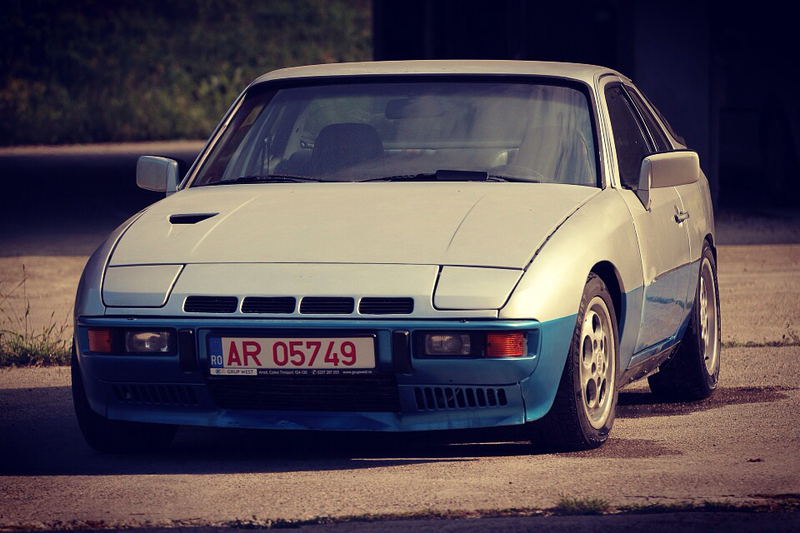 It is in good condition but not mint and far from concours. It has done 116,000 miles and has only done around 20,000 miles in the last 10 years. It does need a respray in the near future but I will focus on going, turning and stopping faster first. 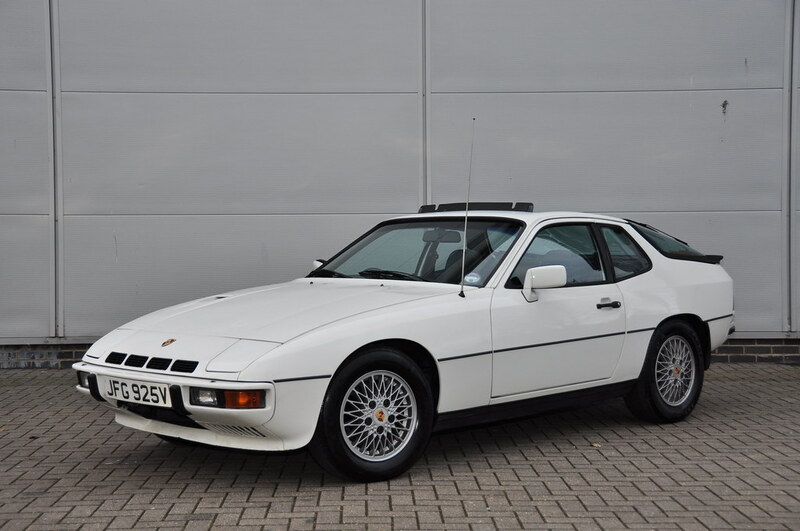 While I'm partial to silver or black... but 924s definitely look best in white. And my favorite comment to make "that thing would look awesome with some staggered silver cookie cutters with gloss black center caps". excellent looking car m8 ! nice car! good seeing well taken photos too. 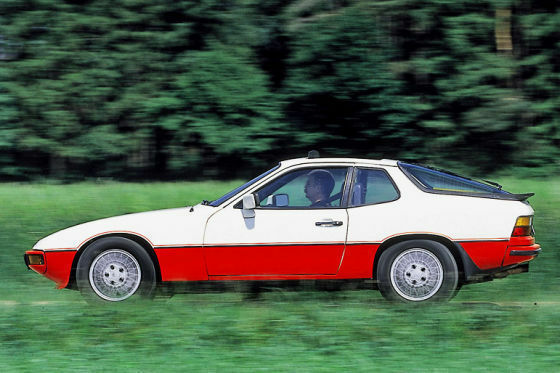 If anyone has or has seen other pics of this Alpine White over Guards Red car please post up links for me. I might just repaint mine like this should it show this was the original paint for my car from the factory. This paint option was only offered in 1980 model year. I'll say it again, I love the white on red Do it!!! !